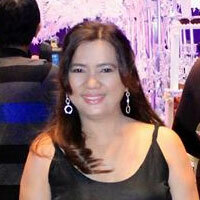 Welcome to Bayview Park Hotel Manila world of endearing contrasts. Budget-friendly, yet first-class accommodations, facilities and amenities. Steeped in historic significance, now elevated to modern, international boutique hotel standards; Romantic, but sensibly pragmatic and practical; A discreet sanctuary, at the hub of world-renowned entertainment, artistic and cultural venues; Serene and venerable, still hospitable and comfortable. 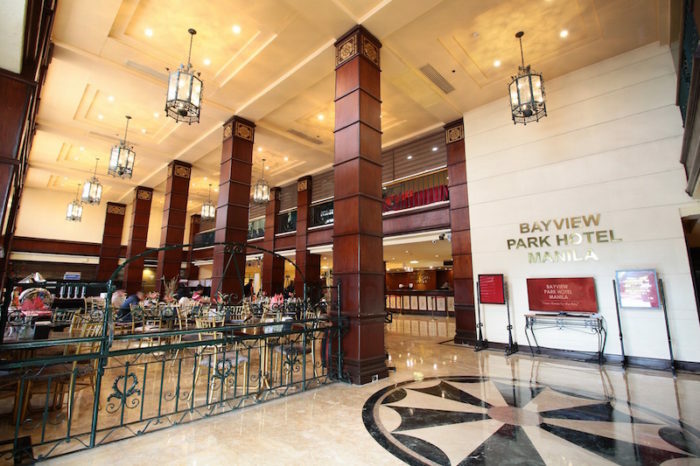 In its over 75 years of existence, Bayview Park Hotel Manila has held sway as one of the longest-enduring, sought after destinations for both business and leisure travelers in Manila, offering very affordable and friendly rates, while providing unparalleled service and exclusive privileges for the most discriminating guests. 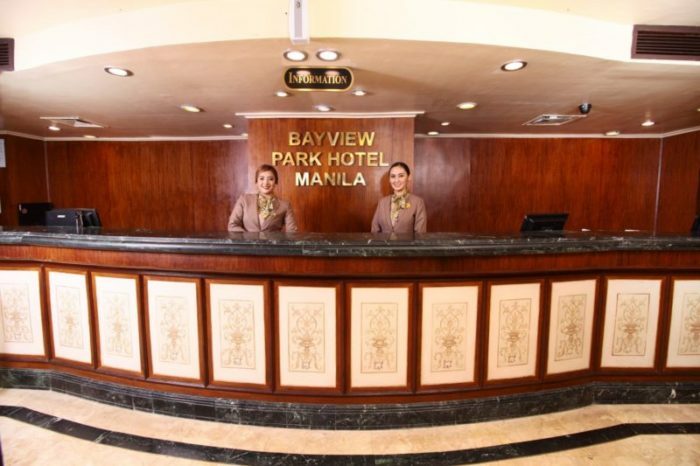 Steeped in the traditions of a graceful era gone by, yet designed to exceed the demands of contemporary lifestyles, Bayview Park Hotel Manila offers all the modern functions and conveniences of freshly-renovated, “personalized” boutique hotel. 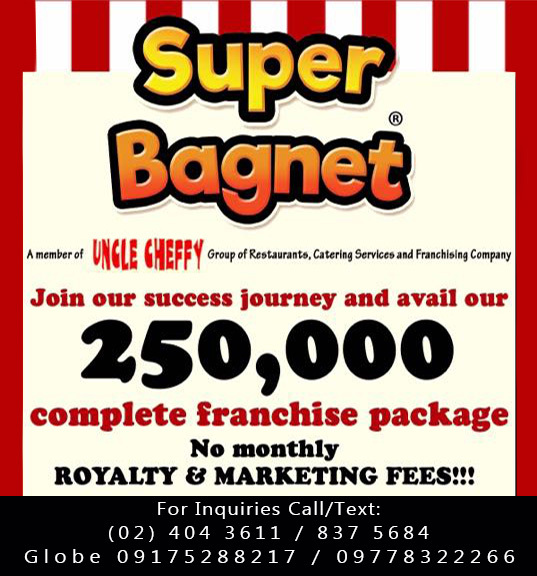 Stylish and welcoming accommodations, function-driven facilities and amenities, guest-friendly rates, and a level of service that can only be described as Filipino hospitality at its best. 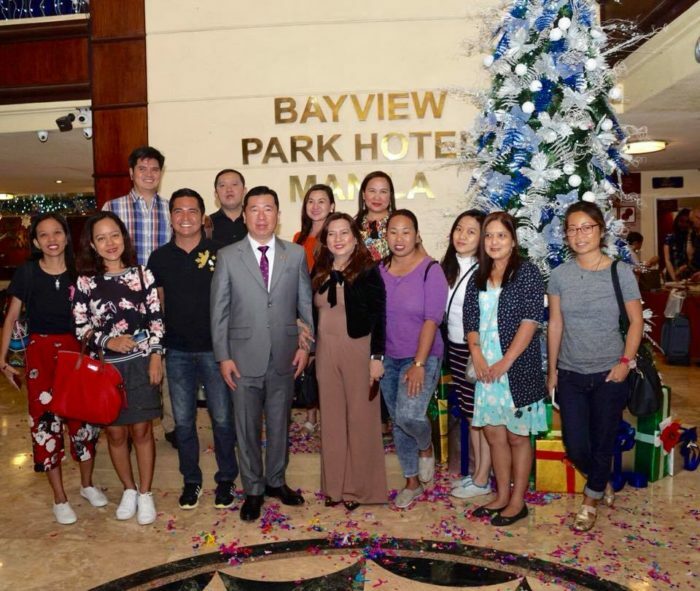 Atty Eugene Yap, Bayview Park Hotel general manager with the sales and marketing staffs during the Christmas Tree lighting. 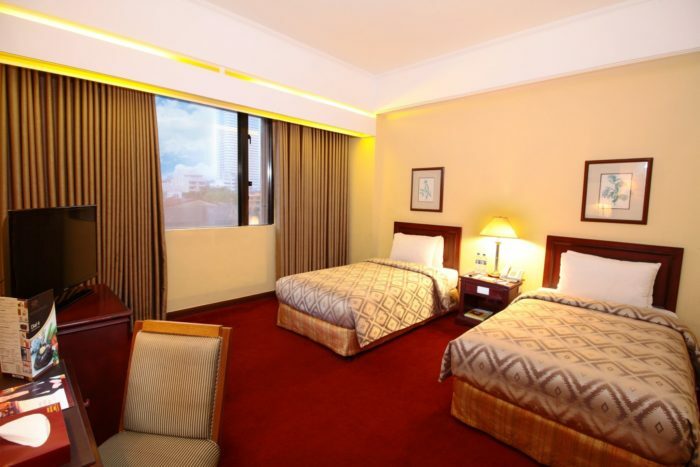 A distinguished destination in itself for nearly eight decades, Bayview Park Hotel Manila is situated just minutes away from other historic and renowned landmarks including Luneta Park, the Manila Catherdal, the walled city of Intramuros, and the vibrant art and entertainment milieu, Malate. Across it, towards the bay are the U.S. Embassy, Manila Yacht Club, and further on, the CCP Complex, the country’s premier cultural hub. 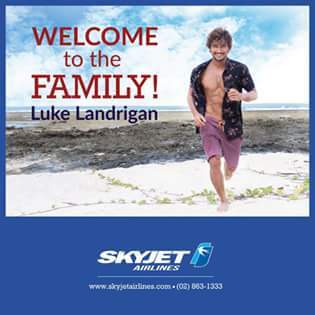 Its proximity to the Ninoy Aquino International Airport, a mere 20 minutes away, offers extra convenience much desired by the travel-weary visitor. 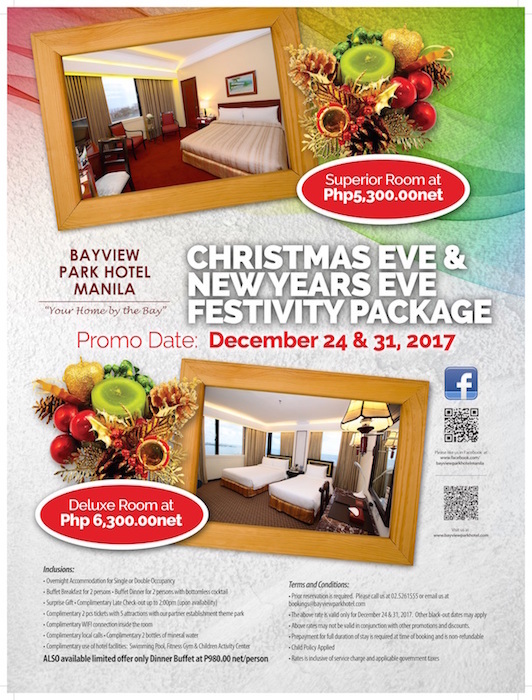 With the complete satisfaction of its cherished clients ever in mind, Bayview Park Hotel Manila has prepared special packages for almost any occasion, be it for once-in-a-lifetime debuts, themed children’s parties, momentous milestones and anniversaries, and that dream wedding you’ve always longed for. 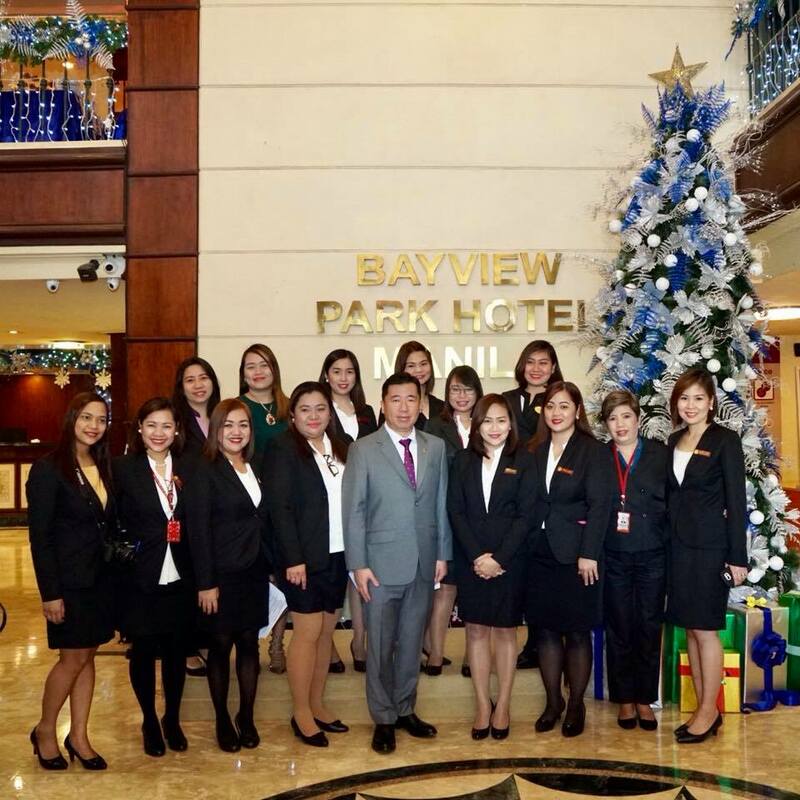 Thoughtfully planned and creatively executed by our events professionals to suit your personal preferences, requirements and budget, Bayview Park Hotel Manila packages are designed to ensure any event’s success, without the usual accompanying stress and worries. 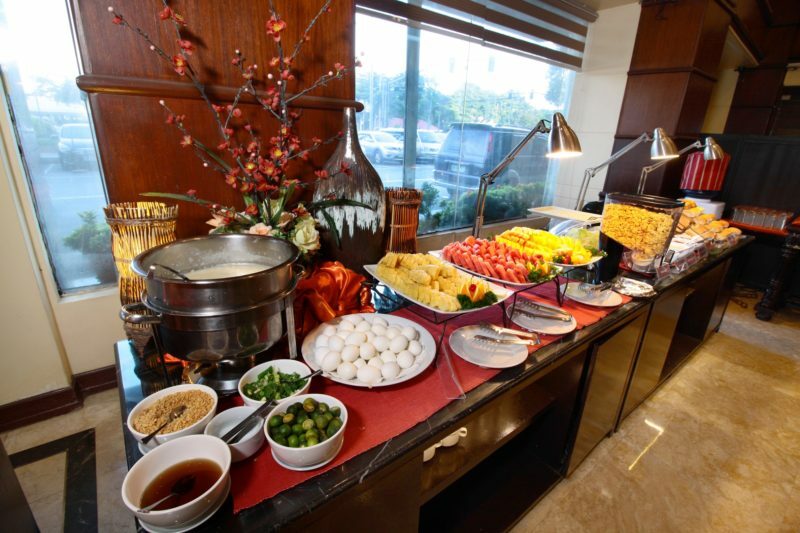 Besides splendid accommodations and its noted hospitality, Bayview Park Hotel Manila is best known for its value wedding packages that leave newlyweds with all the best lasting memories. It has become the preferred hotel of soon-to-be-married’s who want their special day to be celebrated with elegance and grandeur, yet with the right balance of practicality. 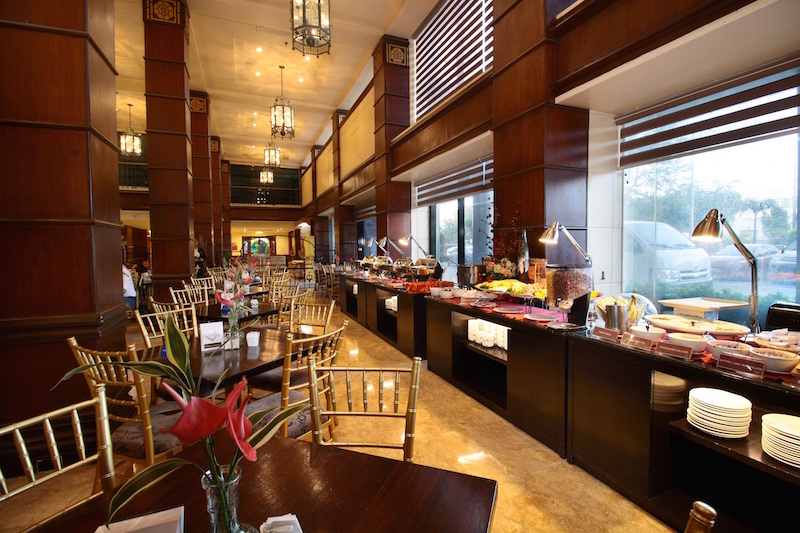 For corporate needs such as business events, launches, sales rallies, seminars and conferences, Bayview Park Hotel Manila offers functionally-designed rooms with complete audio-visual and other technical facilities. 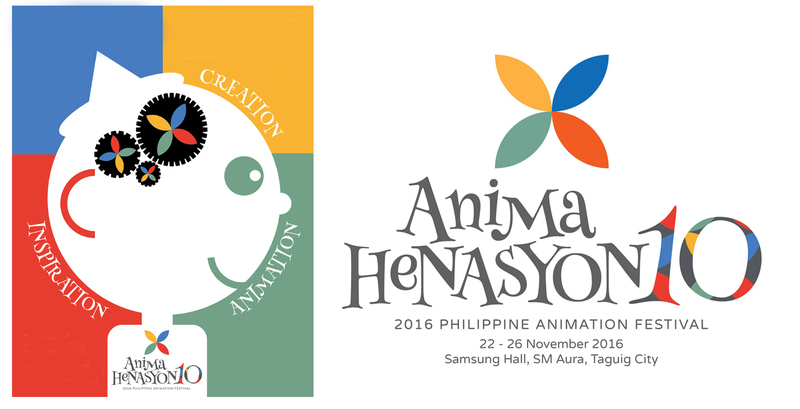 There are 15 function rooms to accommodate every particular requirement, with the Manila Bay Ballroom having a maximum seating capacity of 300. 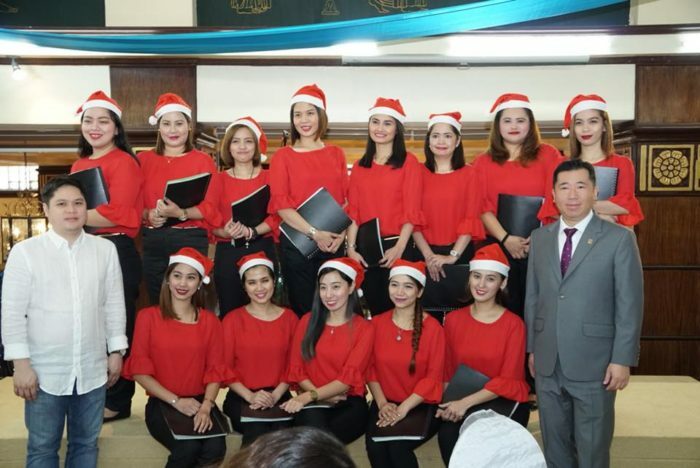 All your needs will be attended to promptly by the hotel’s courteous staff, with our friendly and experienced Banquet Sales Team working with you at every stage to help make your corporate functions as productive and output-driven as possible. Hospitable, dependable, modest, respected, distinguished. Words meant to be lived by. 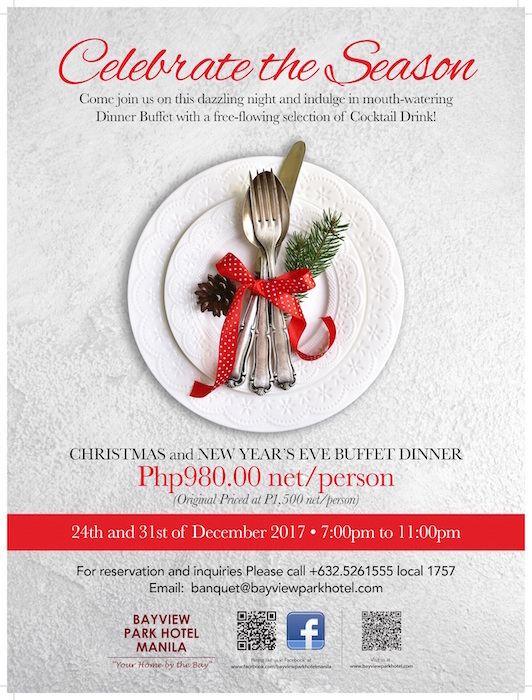 It’s simply the Bayview Park Hotel Manila way.